It is officially the holiday season and our Gala Holiday Party is coming up! The event will be held on Saturday, December 16th, 2017 at Tara's Himalayan Cuisine (17221 Pioneer Blvd. Artesia, CA 90701) from 7pm onwards. This party is FREE for annual members and gold/platinum sponsors! 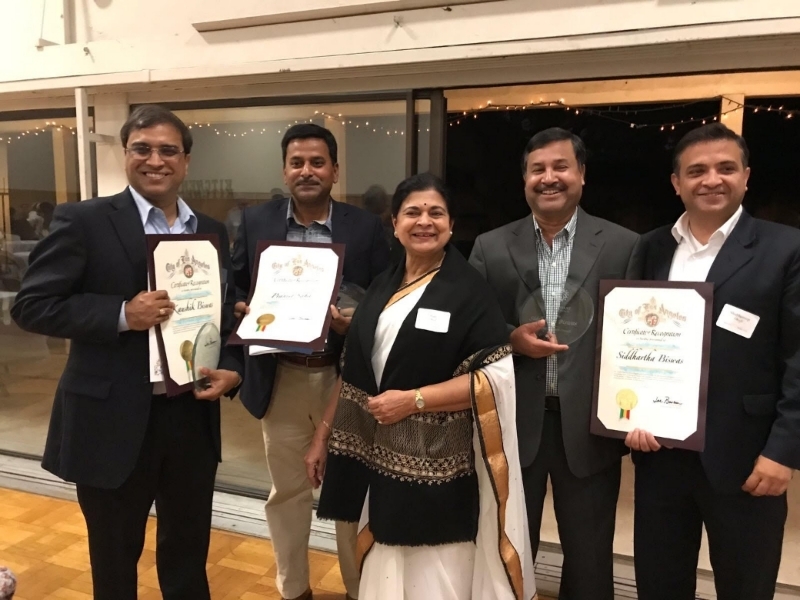 On November 12th, 2017, our very own Dakshini community members Siddhartha Biswas, Pranjit Saha and Kaushik Biswas were honorees and award winners at the 14th Annual Interfaith Unity Awards dinner and Silent Auction hosted by South Coast Interfaith Council (SCIC). The SCIC Board of Directors recognized these three exemplary individuals who are doing extraordinary service for several years now as a part of Vedanta International Cultural Center's program and initiative to serve the underprivileged children, poor and the homeless. Several weekends throughout the year, you can find them working as volunteer chefs and meal planners at homeless shelters, churches and neighborhood parks here in the Los Angeles area.